SAT Day 2018 was a disappointment in Coeur d’Alene, and across much of Idaho. On Tuesday, April 10, nearly 95 percent of Coeur d’Alene’s juniors took the college-entrance exam — taking advantage of the opportunity to take the test during the school day, and on the taxpayer’s nickel. When the scores came in last week, Coeur d’Alene’s average score dropped by 24 points. Even on a test with a perfect score of 1,600, a 24-point drop is large enough to be troubling. But it’s tough to pinpoint a cause, or causes. The test changes yearly. So does the faculty, as veteran teachers retire or take other jobs. And every spring, a new group of students takes the test. 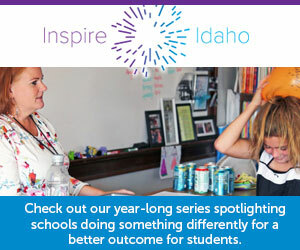 The Coeur d’Alene School District is hardly alone in searching for answers. SAT scores dropped statewide, and scores fell in 18 of Idaho’s 20 largest school districts. Some decreases were only slight. But the slippage comes as the state’s education, business and political leaders hope to convince more high school graduates to continue their education. For several years, they have hoped the SAT could get a student one step closer to college, and get the state a little bit closer to improving its languid college “go-on” rate. That’s the point of SAT Day — when nearly 20,000 high school juniors take the test at a taxpayer cost of about $1 million. The statewide average score dropped from 998 to 989. Only 31 percent of juniors met benchmark scores on both the math and verbal sections of the SAT. According to The College Board — the nonprofit that administers the SAT — a benchmark score is a predictor of success in first-year college classes. In 2017, 32 percent of juniors hit both benchmarks. In 2016, that number was 33 percent. In 15 of the state’s 20 largest districts, students are more likely to reach neither college benchmark score than to reach both of them. In many ways, the 20 large districts are a representative sample of Idaho as a whole. Nine of the 20 have poverty rates above the state average. Collectively, their college go-on rates are slightly higher than the statewide rate. And while most of Idaho’s school districts are small and remote, the 20 large districts account for two-thirds of the state’s enrollment. So if the state hopes to convince 60 percent of young adults to obtain a college degree or professional certificate, a number now sitting at 42 percent, it will take improvements at districts large and small. The State Department of Education doesn’t compare districts’ scores, but instead looks for overall trends. The department isn’t really sure what happened with this year’s scores. “We want to look at it more holistically,” said Karlynn Laraway, the department’s director of assessment and accountability. Laraway wants to look at several variables — such as students’ advanced courseloads and extracurricular activities, which could have cut into SAT prep time. And she’s also not sure this year’s juniors took the test as seriously as their predecessors. She notes that students who chose to take the SAT on a Saturday scored significantly better than the juniors who took part in SAT Day. Coeur d’Alene has seen similar results, largely because of repetition. Students who take the test several times tend to do better. In Idaho and in many districts, SAT Day provides a comprehensive snapshot of student performance — since almost every student takes the test. And scores might have dropped in Coeur d’Alene, in part, because more students took the test. The scores aren’t final. SAT scores can change from the preliminary results issued last week. And Coeur d’Alene has filed an appeal — saying six blank assessment sheets were calculated along with the completed tests, driving down the district’s average. Still, Nelson is taking the numbers seriously — especially a 488 average score in math, down 16 points from a year ago. The district is launching a new math teaching model that integrates disciplines such as geometry and algebra, and incorporates SAT and college-level content. The new approach has been in the works for years, and isn’t a response to this year’s SAT scores, but the scores emphasize the need for change. “On an 800 scale we’re at 488 in math? That’s extremely disappointing,” Nelson said. The new SAT scores follow an old pattern — and an important one, as Idaho tries to improve its stagnant 45 percent college “go-on” rate. Relatively affluent charter schools posted many of Idaho’s top SAT scores, again, while alternative schools serving at-risk students posted the state’s lowest scores. And rural districts with high poverty rates tended to struggle. Idaho’s top performers: The Coeur d’Alene Charter Academy, a perennial top performer of the SAT, posted the highest average score of any school in Idaho — a 1,291. Rounding out the top five: Compass Public Charter School, Meridian, 1,206; North Idaho STEM Charter Academy, Rathdrum, 1,206; Renaissance High School, Meridian, a school of choice operated by the West Ada School District, 1,174; Meridian Medical Arts Charter High School, 1,144. These top five schools all have low poverty rates, as measured by the number of students who are eligible for free or reduced-price lunch. Their eligibility rates ranged from zero percent to 18 percent, compared to a statewide rate of 47 percent. The top-ranked traditional high school was North Idaho’s Deary High School, with 15 high school juniors and an average score of 1,111. The school’s poverty rate is slightly higher than the state average. Idaho’s lowest scores: Alternative high schools accounted for the five lowest SAT scores in the state: Lincoln High School, Idaho Falls, 773; COSSA Academy, Wilder, 771; Mount Harrison Junior-Senior High School, Heyburn, 766; Cassia High School Burley, 763; Patriot Center, Emmett, 732. The lowest performing school district was the Bliss School District, whose eight high school juniors posted an average score of 833. More than 80 percent of Bliss’ students are eligible for subsidized lunch. Another look at the correlation: The correlation between SAT scores and poverty is evident throughout. The 30 districts with the highest poverty rates — mostly rural districts — all scored below the state’s average SAT score. Of the 30 districts and charters with the lowest poverty rates, 18 had SAT scores above the state’s average.